The 90 year-old seems to be handling the diagnosis and first round of treatment with a good humor; he was nothing but smiles when he held the press conference to let everyone know. Since that first trip, I had visited again, and my family had gone a couple more times. I started reading An Hour Before Daylight, Carter’s memoirs about his childhood, a couple of months ago, and we’ve all been talking about taking another Sunday trip over to Plains. So, we decided to go this past weekend. We normally show up at the church around 8:30 or 8:45am for Sunday School to start at 10, but we knew that we should probably get there a little extra early this time. So, we got there at 8:00, thinking that was “early.” Boy, were we wrong! People had camped out the night before, and they had to open up the Plains High School as an overflow space for the hundreds of people who couldn’t fit in the church. That’s where we were directed. But even with this new space, we had come too late. Nearly 450 had fit into the church itself, and the high school building down the street could fit another 250. But we were around #275 in that line, so we were unfortunately turned away…along with about 250 other people. Of course it was a little disappointing, but I really felt bad for the people who had driven so far and yet didn’t get to hear Mr. Jimmy speak. But, I’ll say that it was simply heartwarming to see such support for the Carters. People had driven from far and wide not only to hear his spiritual lesson, but to let him and his family know that their thoughts are with them. But of course, he knows. In fact, this was the first time in the three decades that he’s been teaching Sunday School that they’ve had such a crowd; no one was prepared for it. Sunday morning, when they realized that there were way, way too many people to fit in the church sanctuary, Mr. Carter said, “Okay, open up the high school, and I’ll go down there and give a second Sunday School lesson to them.” He could have said – What is this? This is not a spectacle or a campaign rally; it’s my personal worship service. But instead, he accommodated as many people as possible. He’s said that he’ll keep teaching Sunday School as long as he’s physically and mentally able. Bless his sweet, compassionate heart. 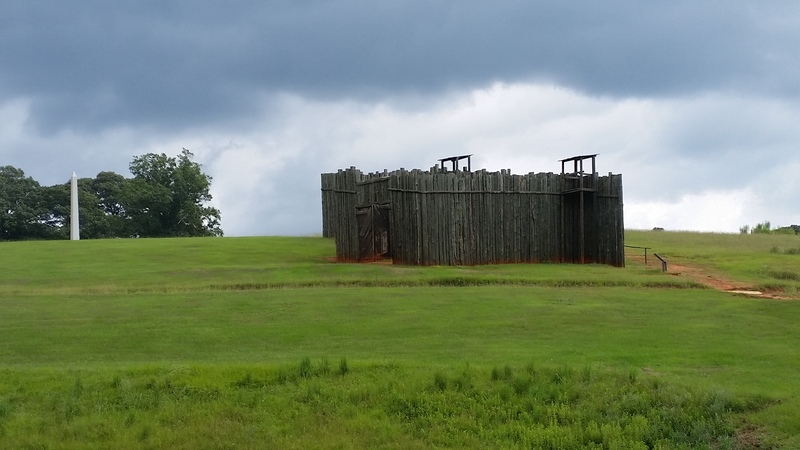 On my way back to Atlanta, I began noticing signs for the Andersonville National Historic Site. Again, this was only about 30 minutes from my house, but I had never visited. So I pulled in and spent about half an hour driving around the park and reading the placards about the former prisoner of war camp. They had marked out the perimeter of the prison walls, and as you stood overlooking the rolling hills below, you could really imagine how large of a prison camp it was. I couldn’t believe that none of our history teachers had brought us there on a field trip. The National Park Service has recreated some of the pieces of the prison cap walls to give visitors an idea of what it looked like. It’s strange how much of an effect time and maturity can have on a person. 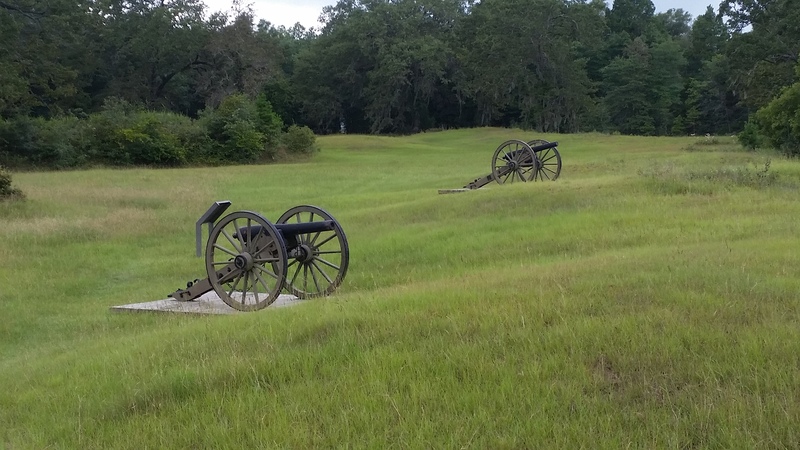 I’m a historian and I spent 15 years growing up a short drive from so many historical sites: the home place of a US President, the Andersonville site, Selma-Alabama, numerous Native American sites. The only one I remember visiting with any regularity is Westville, a living museum that recreates the daily life of those from the 1850s. But now, I realize how much of a treasure it is to have had these things so close by. It was nice to take some of the back roads home. 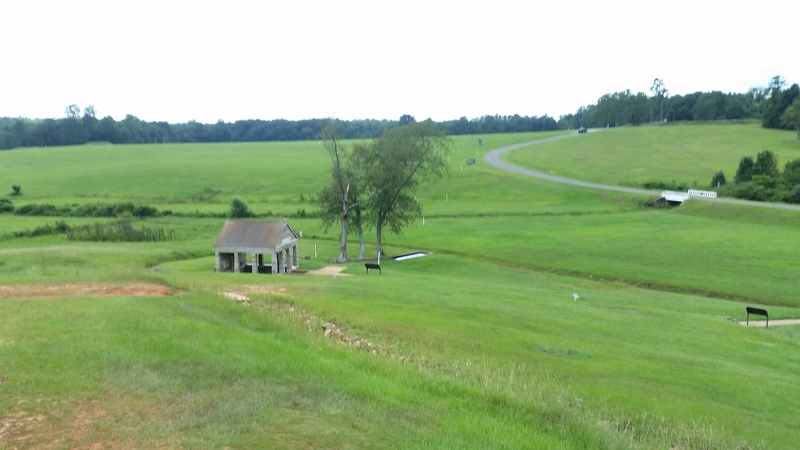 Instead of being inundated by the interstate billboards and strip malls, I got to roll my windows down and take in the beauty of southwest Georgia’s rural countryside. It’s scenery that I saw every single day for years…and never thought that there was anything particularly beautiful about it. But, once you’re gone and spend time surrounded by asphalt and concrete, the rolling green hills seem more liberating…not quite as confining as they seemed to a restless teenager. Of course, this landscape only appears to be “natural.” There’s nothing natural about the tidy pecan orchards or the hundreds of acres of crops, all neatly aligned. Even the pine tree forests are arranged in perfectly straight rows. The fields that aren’t planted in cotton at the moment are tilled up or mowed nice and neat. This isn’t natural, untouched wilderness; this land has been put under the yoke of agriculture. But still, it’s pretty. A few years of age can change your perspective. It can turn a drive down ordinary, everyday back roads into a trip, a chance to do some traveling, even if it’s in your own back yard.